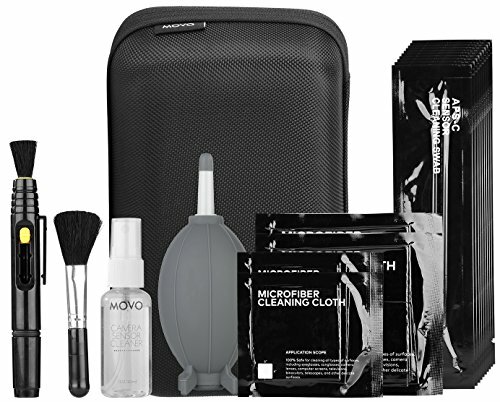 The Movo Cleaning Kit contains everything to keep your DSLR camera clean and in perfect working condition, inside and out. Sensor cleaning and maintenance is one of the most important, and most overlooked, aspects of camera ownership. Proper care of your sensor will ensure your camera keeps serving your needs for years to come. Overlook it, and you'll soon find yourself dealing with annoying specs showing up in your images. While many cameras feature automatic sensor cleaning, you may find that you require a more thorough cleaning to remove particularly troublesome particles. For times like this, you'll need to use several specialized tools to address the different types of debris that may be on your sensor's surface.